Adam Gorightly, very slightly younger than he is now, with Robert Anton Wilson. 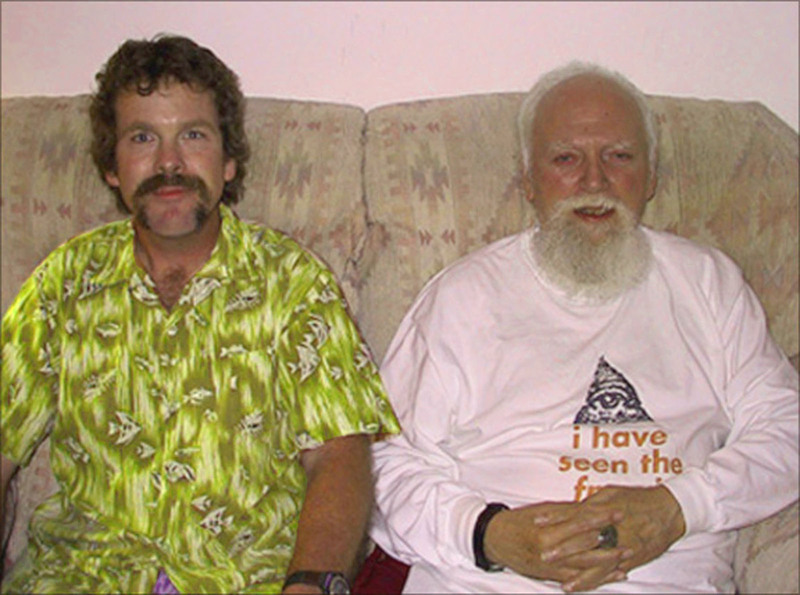 Fresh from his triumph in snagging last Monday's guest post from British author John Higgs, one of my favorite writers, Cosmic Trigger guest blogger/Chapel Perilous guru Charles Faris has now landed your favorite Discordian historian, Adam Gorightly. Adam wrote some wonderful pieces for the Illuminatus! online discussion, providing insight on the Discordian origins of that work. 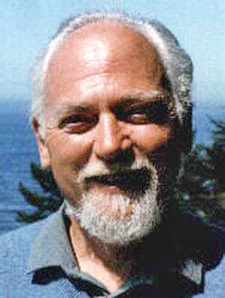 As the author of Caught in the Crossfire: Kerry Thornley, Lee Oswald and the Garrison Investigation, plus a separate Kerry Thornley biography, The Prankster and the Conspiracy, he is the best qualified person on the planet to provide background for Cosmic Trigger readers on the Garrison-Thornley feud that Robert Anton Wilson references. 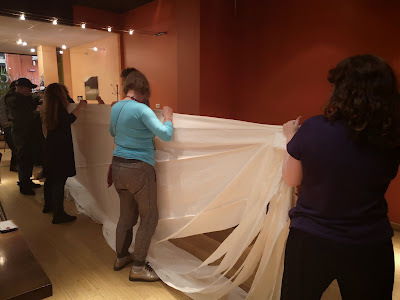 Look for Adam's piece when we get to Week 18, August 8, I think. In the meantime, please continue to join us as Charles serves as our faithful guide to Chapel Perilous. More on Adam here and here.